In view of the globe-girdling surveillance system put in place by the United States, other nations need alternate lines of communications in order to have a secure future. The casualty could be freedom of expression, especially in the BRICS. Anyone who is outraged by the NSA’s saturation spying is either a hypocrite or lives under a rock. Just as diplomats lie abroad, the job of intelligence agencies is to steal secrets. If the NSA is eavesdropping on the conversations of world leaders, then the Chinese aren’t sitting idle. In one of the biggest intelligence heists of this century, Chinese hackers watched – in real time – the designers at Lockheed-Martin’s super secret Skunk Works give final shape to the F-35 stealth fighter. Again, if Russian Prime Minister Dmitry Medvedev’s phone conversations were monitored at the G20 meet in London, then Moscow’s intelligence agencies have stepped up their activity to a level not seen since the height of the Cold War. Before Snowden the issue of government spying dwelled in the realm of conspiracy theories. After Snowden the question is not whether there are backdoors but how many. For instance, in 1999 researchers discovered suspicious software labelled “_NSAKEY” in some versions of Microsoft Windows. Anyone who uses such compromised programs will have an anti-virus shield that looks like Swiss cheese. The most direct evidence of this was offered at the LinuxCon conference held in New Orleans in September 2013 by Linus Torvalds, the creator of the open-source Linux operating system. EWeek.com reports that when Torvalds was asked if he had ever been approached by the United States to insert a backdoor into Linux, he said “no” while [nodding] his head “yes”, as the audience broke into spontaneous laughter. To understand how ridiculously easy it is for US intelligence to eavesdrop on others, you have to understand the architecture and nature of the internet. Because the internet was built by the United States military, it is by default owned by the Americans. All internet traffic travels on information highways that necessarily pass through the United States or via servers owned by American companies. So for the Americans, the World Wide Web is like an extended version of a home wifi network; all they have to do is plug in and listen. This aspect of the internet was first revealed by Snowden. After the Chair of the US House Intelligence Committee, Mike Rogers, lied that the US could not tap into private emails, the whistleblower said he could ‘‘wiretap anyone, from you or your accountant to a federal judge to even the President if I had a personal email’’. The United States may cavil that it needs to spy on everything that moves in order to keep track of terrorist activity, but encryption is the holy grail of the internet. Secure communication networks ensure the smooth functioning of the world’s financial networks and e-commerce systems. By cracking into these encrypted systems the NSA is striking at the very pillars of the global economy. Terrorism is actually a red herring. The Americans and their four English-speaking cousins – the UK, Canada, Australia and New Zealand, together known as the Five Eyes – have been spying on the rest of the world before the first terrorists or their parents were born. The NSA’s sweep is designed to give the United States and its Anglo allies an unfair advantage in the global arena. Dmitry Minin of the Strategic Culture Foundation says by being privy to information about its rivals, the United States has “managed to keep its economy afloat….keeping one step ahead of others when it comes to making offers while competing”. Plus, he adds, the Americans are “using cyberspace to acquire the capability to inflict serious material and military damage to a potential enemy and exert influence on other world actors”. The Five Eyes spying network also bestows benefits on the junior members of the Anglosphere. It could explain why, for instance, the UK continues to remain a financial hub despite becoming – in the words of former French President Nicolas Sarkozy – an ‘‘industrial wasteland’’. Or why tiny New Zealand punches above its weight at the United Nations. Clearly, information theft is at work. It is worth noting that the most vociferous outbursts against Snowden have come from these five English speaking countries. 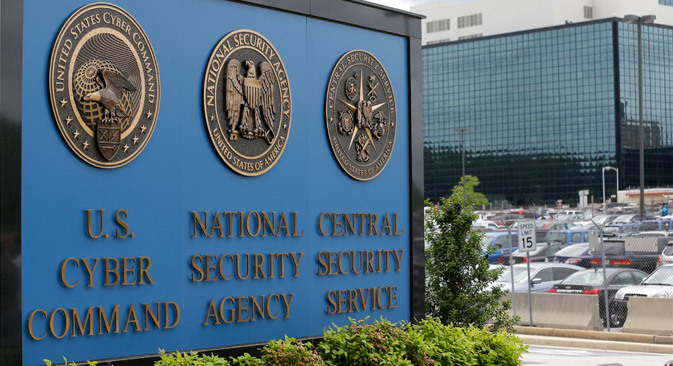 A fallout of the NSA scandal is the deep split in the Western intelligence gathering establishment. It appears there is a hierarchy within this system, with the four junior English speaking countries getting preferential treatment over other Western allies such as Germany, France and Sweden. Continental Europe has, therefore, started moving away from American systems and servers. (China already insists that servers be based on its territory) These measures will blow a hole in the market share of American companies. The BRICS are also attempting to distance themselves from the NSA with the BRICS Cable. First announced in September 2013 by Brazil’s President, Dilma Rousseff, the $1.5 billion cable will run from Vladivostok in Russia to Shantou in China, then on to Chennai, India, passing through Singapore, on to Cape Town, South Africa, and to Fortaleza, Brazil, ultimately linking up to the main internet in Florida. India needs to wake up too. Documents accessed by Frontline reveal that network security agreements signed by Reliance Communications and VSNL with US government departments oblige them to share data carried on their infrastructure and assist the Americans in their surveillance programme. At the moment, the BRICS Cable is not 100 per cent secure. Because it will connect to the internet in Florida, the line could potentially be hacked into by the NSA. But it is the first step. A larger network – with more countries jumping in – that circumvents the internet altogether and grows into a parallel ‘BRICSNET’ would signal a final split from the American-monitored internet. Whether these measures make global information flows NSA-proof remains to be seen but a BRICSNET will have two consequences. One, it could impact free speech. China already has a clampdown on free speech so a regulated Net will be the perfect tool for the communist party’s monitoring activities. The Indian government is building a surveillance network that is likely to turn the Men in Black at the NSA green with envy. The Central Monitoring System was rolled out in April this year, and will be able to target any of India’s 900 million landline and mobile phone subscribers and 120 million internet users. At least the United States cannot find fault with India’s decision. According to The Hindu, on July 22, 2013 India’s National Security Adviser in an internal note reportedly mentioned that the security agencies of the United States and the UK were “extremely stingy” in sharing information. Secondly, the fragmentation of the primary internet will make it difficult to combat cybercrime and viruses. Criminals could attack one network and seek refuge in the other, presenting a nightmare for law and order bodies. Not exactly the secure environment the spooks promised.